Apple's new iPhone X sets the scene for the next decade of iPhone development with a host of futuristic technologies. While expensive, it is the best smartphone available today. Ten years ago, the original iPhone ushered in a new world for mobile computing and sparked the bring-your-own-device (BYOD) movement at work. Soon after it arrived, iPhones were showing up everywhere in the office, forcing companies to quickly scramble to figure out how to manage them. 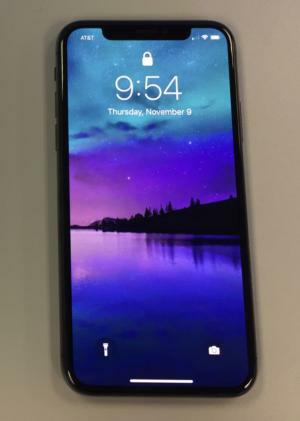 The iPhone X, with its distinctive "notch" at the top and the inky blacks of an OLED display. That sleek (and deceptively simple) device not only debuted a new touchscreen that would radically change how people interact with technology, it also shook up carrier control, set a new target for Apple’s competitors to aim for and created a platform for countless mobile app developers. Oh, and it eventually gave birth to a highly successful tablet boom with the iPad. 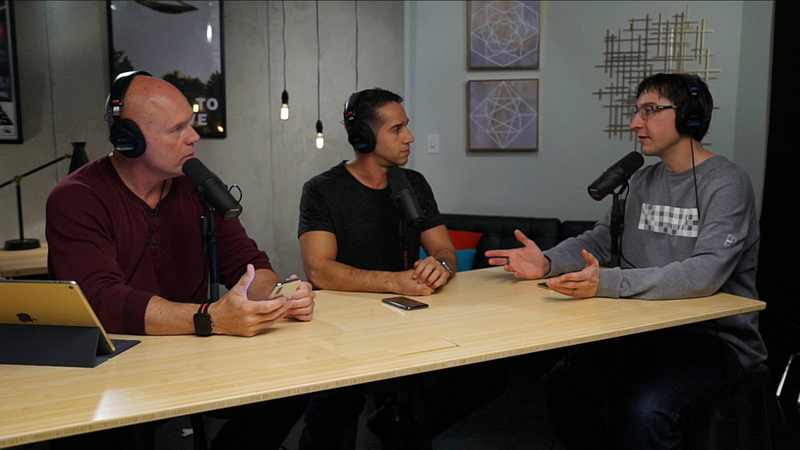 This September, the iPhone was reborn as the iPhone X, something Apple CEO Tim Cook said would set the scene for the next decade of iPhone development. The newest device, which arrived Nov. 3, marks a return to a simpler form and serves as a showcase for cutting-edge technology. As such, it’s the best iPhone you can get, it's almost certainly the best smartphone on the market today, and it’s the one best suited for business. But with a starting price of US$999, it’s expensive, which give companies pause if they’re in the habit of providing iPhones for some of their employees. No mobile device is an island. Hardware is just half of the equation; the other half is software. With that in mind, the most important thing to remember about the iPhone X (and the also-new iPhone 8 and 8+) is that they all run iOS 11, the most secure mobile OS available. Smartphones carry everything from sensitive corporate data and communications to financial info, contact details for clients, access to servers and cloud storage, web browser history, photos, videos, company tools and more. So it’s important that all this data be kept private and secure. Out of the box, iOS 11 does that; Apple has made privacy and data security a priority, and it shows. Device encryption, end-to-end secure Messaging, FaceTime and iCloud sync encryption are all part of the package, which Apple spells out in detail. Thanks to BYOD, IT admins now have a variety of EMM and MDM app suites available to lock down iPhones even more – and the reassurance that apps available from Apple’s App Store have been vetted for quality and are free of misbehaving and security-compromising flaws. Those measures have helped create a thriving ecosystem of devices and services for just about any workplace environment, workflow or individual need. What makes the iPhone X the best phone for business is iOS 11 and the aforementioned security, privacy, and accessibility features. What makes the iPhone X the best smartphone in general is the amount of technology Apple has managed to pack into it. What’s new in the iPhone X? The new OLED display reaches right to the edge on all sides except at the top and is framed by a stainless steel band. Silver models get a mirror-shine stainless steel band; the Space Gray models are wrapped in a dark band color-matched to the rear of the device. The back panels are an intentionally minimal silvery white or dark gray beneath a sheet of glass that some users find slippery. Other than the Apple logo and the iPhone name, the only thing else is the protruding bump for the dual camera lenses and True Tone flash. As before, the iPhone has a mute switch plus volume up/down on the left side and a sleep/wake button on the right side (which is actually a little longer this year). The removal of the Home button means that the Sleep/Wake button picks up new tasks. Tapping it will wake or sleep the display, as before, but holding the button down invokes Siri. A double-tap brings up Apple Pay authentication. And holding down this button as well as any of the volume buttons (in effect “squeezing” the iPhone X) invokes three options: Slide to power off, Medical ID, or Emergency SOS. It also disables Face ID, requiring you to use your password to access the phone before Face ID will work again. Face ID is a deceptively simple facial recognition system enabled by the True Depth camera setup hidden in the much-discussed notch at the top of the screen. To authenticate, you don’t do anything you weren’t already doing: just look at the display. It’s almost instant, and there’s no other action necessary. It’s a much more passive system than Touch ID — which is still in use on the iPhone 8 and 8+. The Face ID system can’t be fooled by photos, and shouldn’t be susceptible to being spoofed by masks. According to Apple, Face ID has a one-in-1-million fail rate — 20 times better than Touch ID. The setup process, done when you first use the phone, is quick and easy — less complicated even than setting up fingerprints for Touch ID. Though Face ID is theoretically more secure than Touch ID, it didn’t take long for people with similar-looking friends and family — as well as mask-makers with a 3D scanner/printer — to defeat it. In the two weeks I’ve had my iPhone X, nobody else has been able to get into it; clearly, your results may vary. Touch ID encouraged the creation of strong passwords because it wasn’t necessary to type out that password each time; a touch of the finger on the Home button was enough. As a result, I used passwords and lockouts everywhere I could, keeping my iPhone 7+ a bit more secure. Face ID, Apple's new facial recognition system for authentication, can be used in a variety of ways for better security. Basically, I turned off access to all of the features when my phone is locked. Now, no stranger can use Siri to make phone calls from the Lock Screen, or see what my notifications say, or even invoke the Control Center. But I can, because Face ID authenticates at a glance when I look at the phone. That means I — and only I — can access these functions from the Lock screen. This is a security step IT admins should consider when provisioning devices. Face ID is a revelation, and a real technological leap forward. For the sake of convenience, I hope it proves to be as reliable and secure as Apple thinks it is. The other hallmark feature of the iPhone X is its new 5.8-in. OLED display. Put simply: this is the best display I’ve ever used, and certainly the best display on any iPhone ever released. With earlier iPhones, animations and content felt like they sat behind a glass surface; the iPhone X’s display makes content look impossibly close to the surface, so much so it’s mind-blowing. It feels like a real-life visual effect. The black level is one of the things that makes OLED screens unique. Each pixel is either on, showing color, or off, showing black. The contrast is obvious when comparing the iPhone X display to a non-OLED screen. Even when it’s displaying “black,” an LCD screen is showing some minimal amount of light because the backlight is always on. Though it's subtle, the iPhone 7+ (left) still shows some on-screen light when displaying a black image. 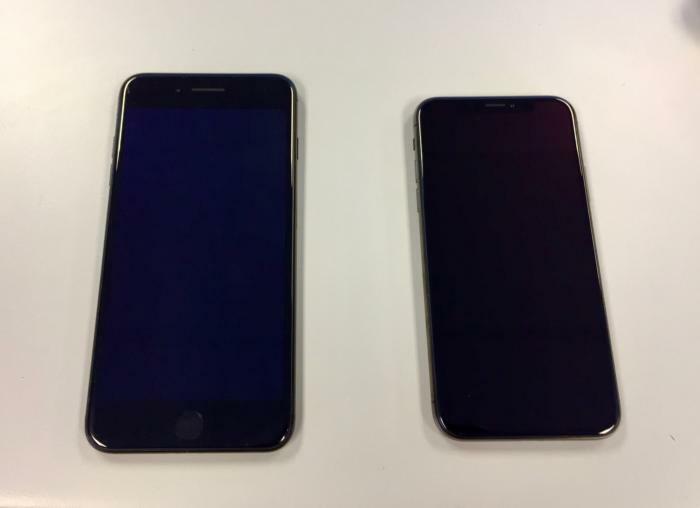 The iPhone X (right) with an OLED display, shows true black. Apple is clearly focused on how the new display looks. Every iPhone X panel is calibrated at the factory to Apple specifications — something not done on other phones — resulting in consistent viewing experiences for iPhone X users; what you see on one iPhone X is exactly what you’ll see on another.